In her 1055-page book The Holocaust: Fate of European Jewry 1932 -1945 (1987, published in English in 1991), Leni Yahil mentions her paternal ancestor Moses Mendelssohn in passing, as the initiator of the Jews’ covenant of assimilation with German culture. Although Mendelssohn, the immigrant guest worker without civil rights, followed 18th century convention in referring to a “Jewish nation,” he could scarcely have imagined a future Jewish state in Palestine. 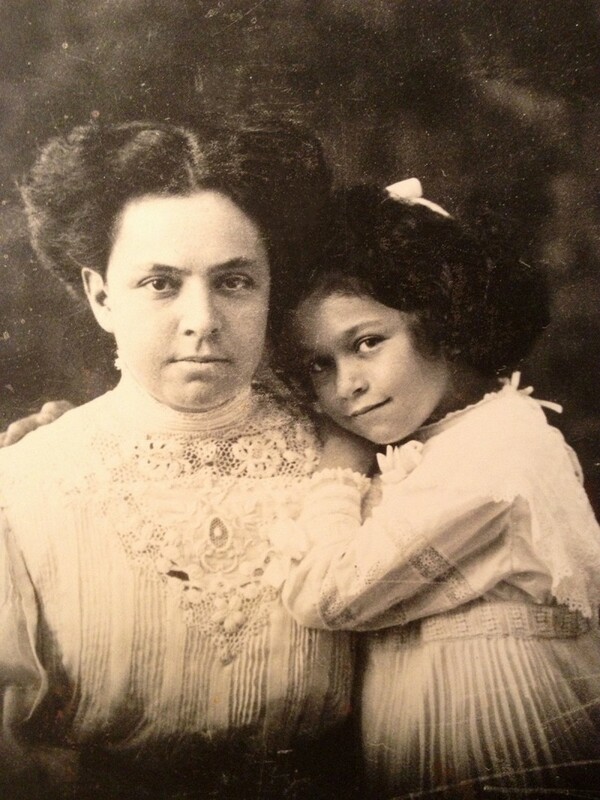 Leni Yahil as a child with her mother Helene Westphal, née Simon © Private collection. 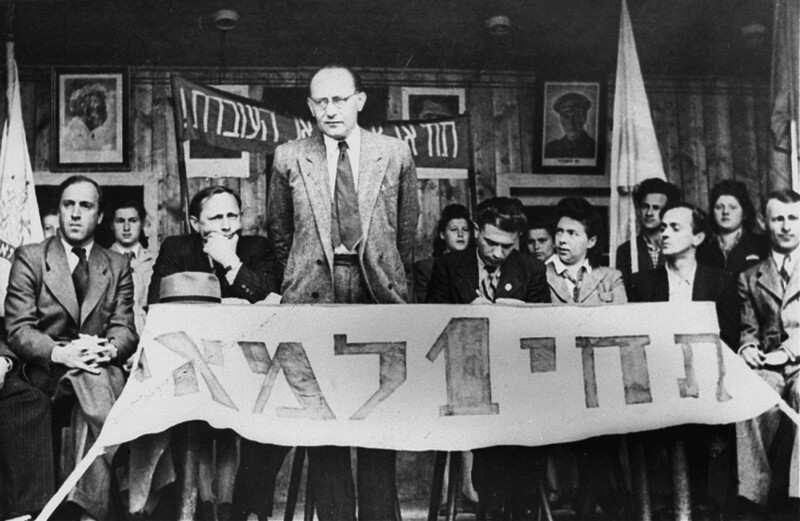 In 1932, Leni’s society of Kameraden (Comrades) re-invents itself as the Werkleute (Workmen), a “German-Jewish youth association” dedicated to: “... education tailored to shaping a Jewish person who, in his disposition and conduct, rebuts the distorted image of Jews that arose during the Galuth (exile).” Once the Nazis come to power, the first members of the association leave for Palestine to establish new kibbutzim and live there. Leni Yahil follows suit in October 1934. At first she works as an orange packer in the countryside, but then manages to continue her studies at Hebrew University in Jerusalem. Two of her siblings emigrate to South Africa. In 1942, Leni marries the political scientist Chaim Hoffmann, a newcomer to Palestine from Czechoslovakia who adopts the Hebrew name “Yahil.” Their sons Amos and Jonathan are born in 1943 and 1945, respectively. 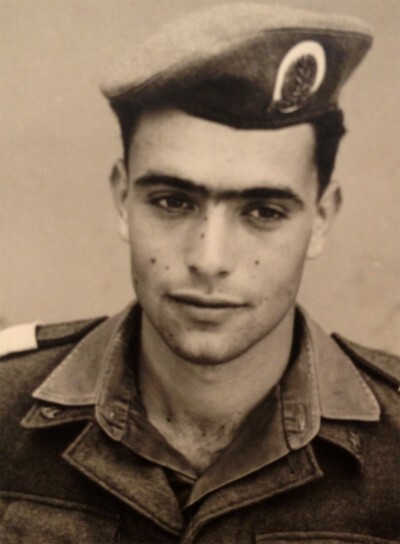 Leni’s second son, Jonathan Yahil (born 1945) in Israeli uniform. Over the years, Leni Yahil repeatedly subordinates her work as a historian to the exigencies of her husband’s professional career: After serving as the Jewish Agency’s emissary at various European Camps for Displaced Persons, Chaim Yahil becomes the Consul of the young state of Israel’s in Munich. He negotiates with the West German government on the restitution of Jewish assets and is appointed Minister to the Scandinavian Countries in 1956. While living in Stockholm during her husband’s ambassadorship, Leni compiles material for “The Rescue of Danish Jewry: Test of a Democracy,” her doctoral dissertation. Later, when she is a professor in Haifa, her work on the staff of the Yad Vashem Memorial and as a visiting professor in the United States solidifies her reputation as one of the foremost authorities in the field of Holocaust research. 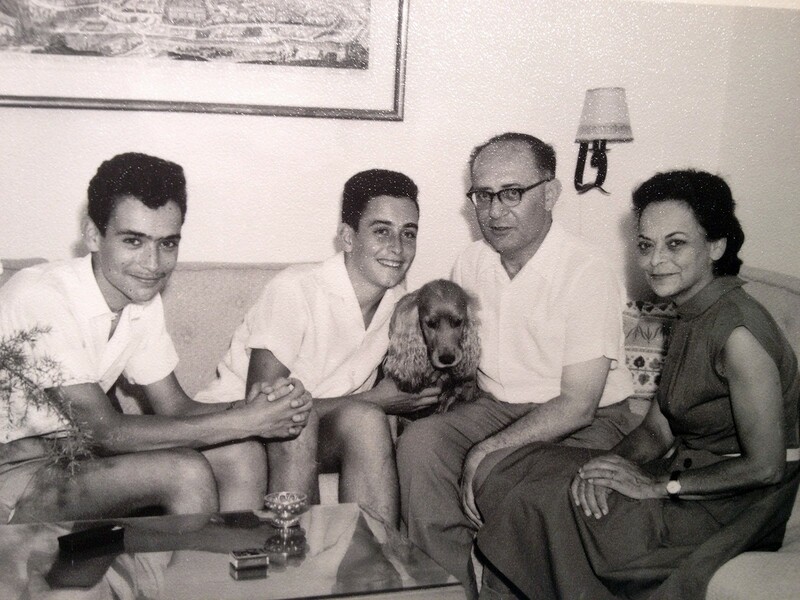 The Yahil family around 1960: Amos, Jonathan, Chaim, and Leni © Private collection. Hannah Arendt, the Jewish philosopher from Germany, at a Parisian café in 1935 © Hannah Arendt Bluecher Literary Trust. In 1961, Leni Yahil meets the philosopher Hannah Arendt and they become friends. In 1963, the two carry on a disputation by letter with respect to Arendt’s reports on the Eichmann trial. 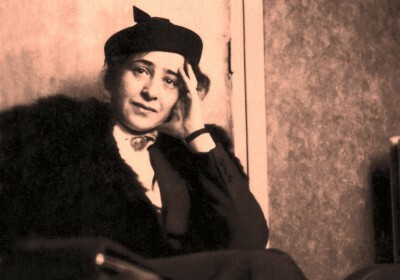 Leni Yahil objects to Hannah Arendt’s construct of the “banality of evil” as an explanatory concept: She refuses to accept Arendt’s contention that someone like the organizer of the Jewish genocide cannot rightly be accused of murder since he was merely the marionette of a totalitarian system and thus had been robbed of his ability to think independently. Leni argues instead that most people in the “Third Reich” most certainly did have moral benchmarks to go by, but that these were repressed wherever they would have had to take a stance regarding the plight of the Jews. In addition, she objects to Arendt’s blanket condemnation of the Judenräte (Jewish Councils) who were forced to collaborate in implementing the genocide, as well as to the philosopher’s attacks on the ideals of the State of Israel. The two women’s friendship does not survive this bitter dispute. Though Yahil writes a conciliatory letter in 1971, she receives no reply. From a letter written to Hannah Arendt by Leni on March 7th, 1963, as part of the two former friends’ contentious correspondence on the subject of Arendt’s reports on the Eichmann trial. 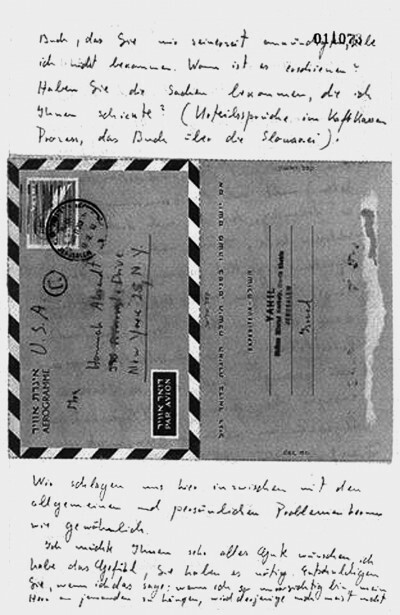 Aerogram sent by Leni Yahil as part of her correspondence with Hannah Arendt © Yad Vashem Studies, Mittelweg 36, 3/2010.